Is it a sheep? Is it a llama? No… it’s an alpaca! 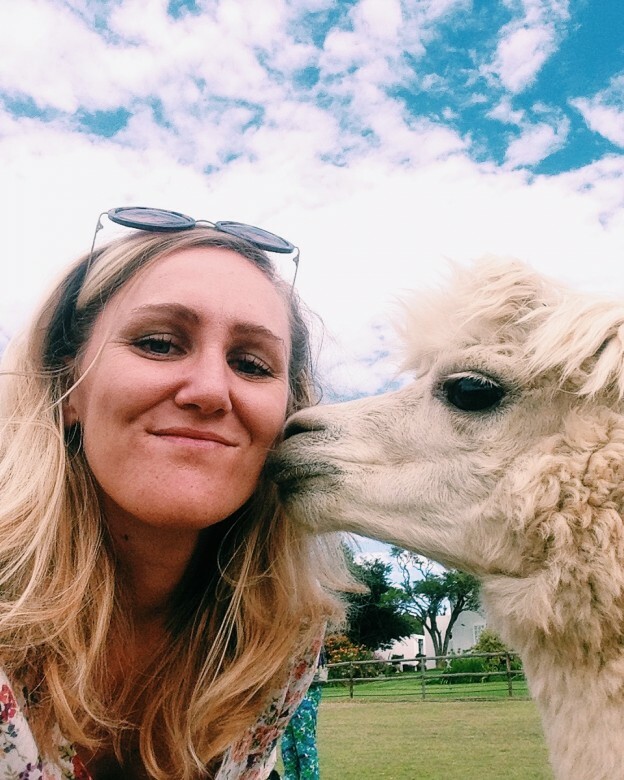 Nadia Krige visits Helderstroom Alpacas just outside Villiersdorp to find out more about these cute camelids and why it’s worth taking a mini road trip to hang out with one on 30 April 2016 aka National Alpaca Day. It’s an early Saturday morning and the little corner of the Overberg we find ourselves in is bathed in that special sort of Autumn light that lends an aesthetic otherworldliness to this time of year. Adding to the feeling of being suspended somewhere outside of reality, we’re standing at the edge of a paddock filled with creatures that look as though they have stepped straight out of the most imaginative of Pixar animations. Soft barrel-shaped bodies in an array of sizes and colours – white, brown, black, grey – rest on four woolly legs, the front two markedly knock-kneed, and long necks extend elegantly upward, ending the most ridiculously character-filled faces. Some sport cheeky coifs and others have chubby cheeks, there are pronounced overbites and strong jawlines, but there are two features they all share: large, long-lashed eyes and soft ears, pricked inquisitively at everything happening around them. They all seem aware of our presence and a few of the younger ones cautiously make their way over to take a closer look at the intriguing intruders. 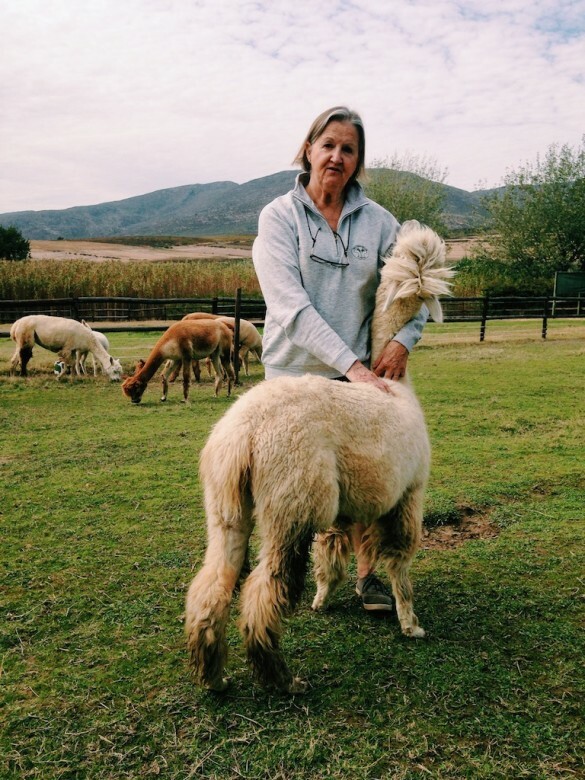 Alison Notley – chairperson of the South African Alpaca Breeders’ Society (SAABS) and co-owner – along with her husband, Christopher – of Helderstroom Alpacas, introduces me to them one by one. 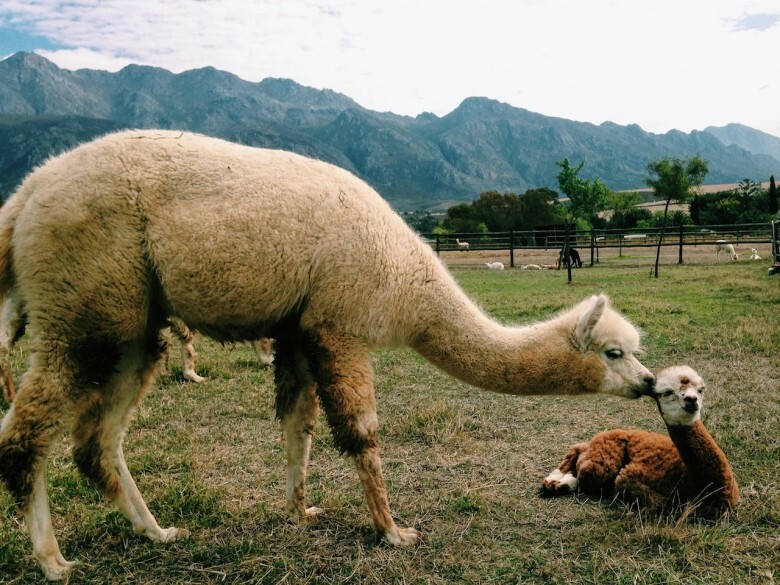 Located in a picturesque, hidden valley about 10km outside of Villiersdorp, Helderstroom is a 4.8ha smallholding where Alison and Christopher have been breeding alpacas for the past 12 years. They started out with a shipment of five pregnant (in cria) females from Chile back in 2004 and have since seen their herd grow to its current size of 52. The paddock we’re in has about 30 alpacas milling around, 11 of which are recent moms to 11 adorable babies and an adjacent field is home to a handful of energetic young males. A few herd sires (males used for breeding) are kept a little way off, as they have a tendency toward aggression that the ‘girls’ typically don’t possess. Astoundingly, each alpaca has a name and each a special place in the hearts of Alison and Christopher. “We came down from Zimbabwe in 2002, in search of a new place to live and stumbled upon Helderstroom. While the original idea was to have a large enough piece of land to keep my horses, it all changed when I read an article about the first pallet-load of alpacas that had been delivered to South Africa circa 2003. This strange new agri-industry intrigued me and seemed like something worth exploring. Our five females arrived on the very next shipment in 2004,” she recalls. 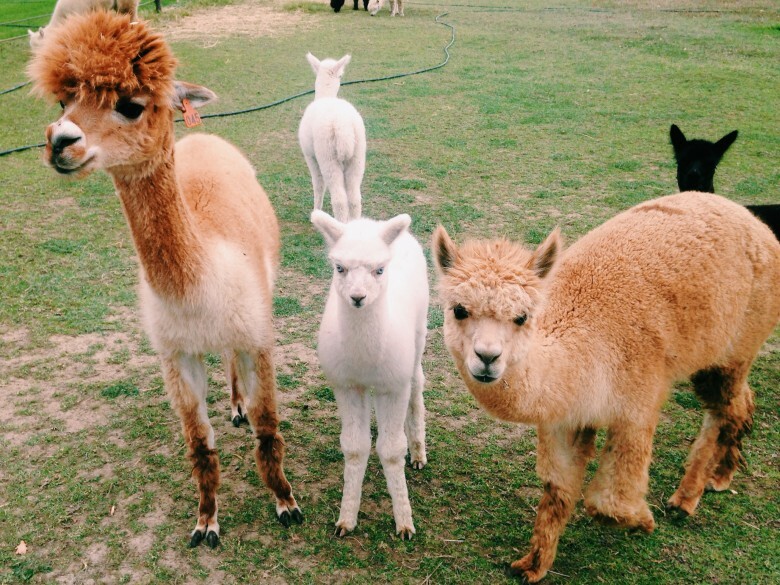 So, wait… alpacas actually have a purpose beyond being cute? I ask Alison incredulously. Well, it seems they certainly have… and a rather elevated one, at that. Alpacas are the bearers of some of the finest fibre in the world, highly sought-after for the production of garments that are both warm and cosy, but also lightweight and low maintenance. “The diameter of an average human hair is about 100 microns, whereas the diameter of alpaca fiber is between 15 and 30 microns, which mean that it really is super light and super fine,” Alison explains. She adds that, unlike sheep’s wool, alpaca fibre contains zero lanolin, which means that minimal washing is required after shearing. It’s also non-allergenic, water-resistant and fire retardant. “Not to mention the fact that since alpacas are the most colour diversified fibre-bearing animal on the planet, it also comes in up to 22 different natural shades,” she adds. 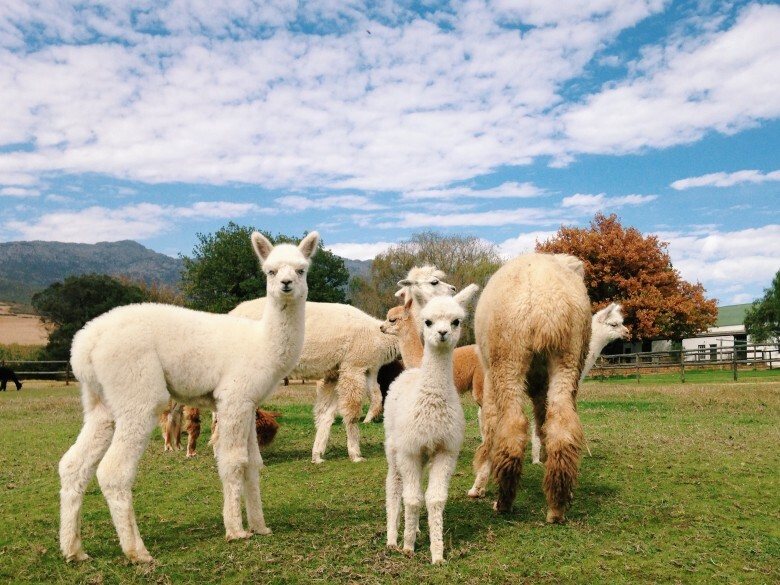 While the actual alpacas are admittedly a quaint drawcard for visitors, there is a second facet to Helderstroom Alpacas: the production of once-off, handmade garments. Once the alpacas have been sheared, Alison, along with master spinners Brenda Willemse and Theresa Jansen, set about hand-spinning the fibre into workable yarn. 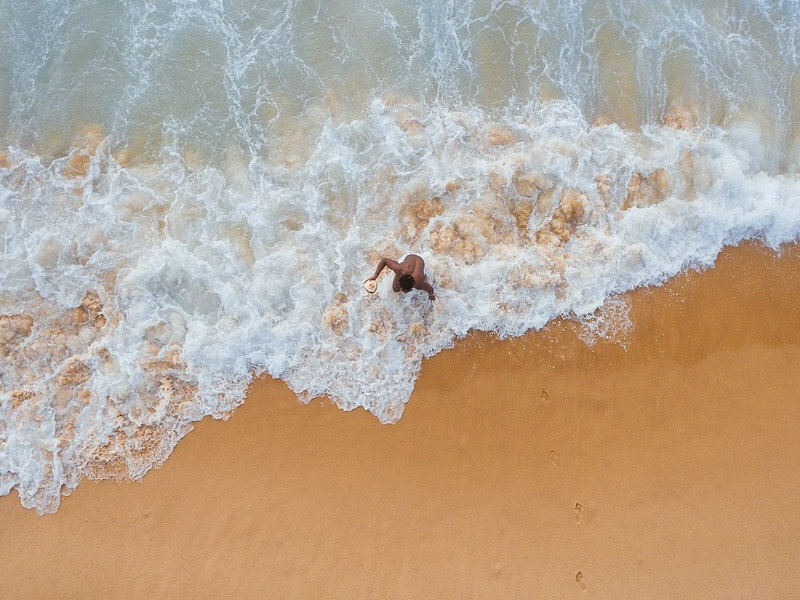 This then gets sent off to about 20 women throughout the Overberg, who knit and crochet an exclusive range of garments: gloves, scarves, beanies and shawls, but also jerseys, jumpers, dresses and skirts. Being hand-made from start to finish and 100% organic, it’s hardly surprising that alpaca wool clothing does come with quite the price tag.These items are sold in a little shop on the property, but are also available at various exclusive markets throughout the Western Cape as well as at the Bryanston Organic Market in Johannesburg. Since Alison and Christopher started out in 2004, it is not only their own herd that has been growing steadily, but also the ‘national herd’. “The number of alpacas in the country currently stands at around 4 000,” says Alison, adding that breeders and farms can be found throughout the country. 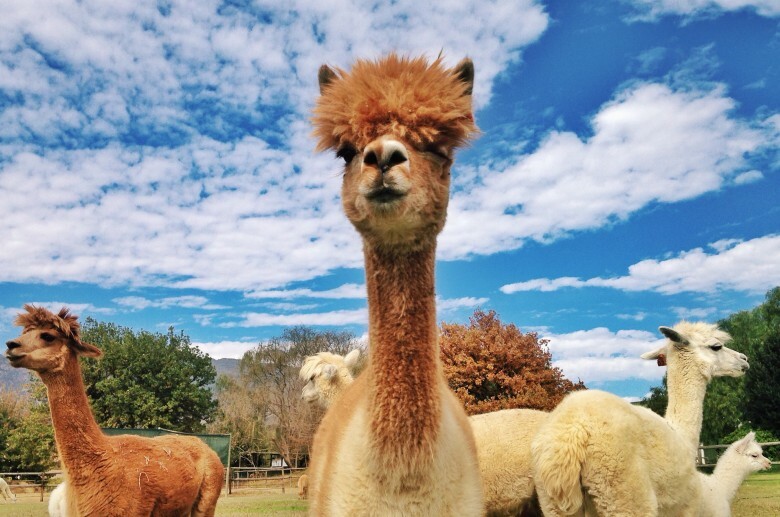 As part of an effort to introduce the general public to this emerging agri-industry, SAABS decided to instate National Alpaca Day early last year. After a successful first run in 2015, the second annual Alpaca Day is set to take place across the country on Saturday, 30 April 2016. “It’s basically an awareness day where various alpaca breeders will be opening their gates to the public,” she explains. 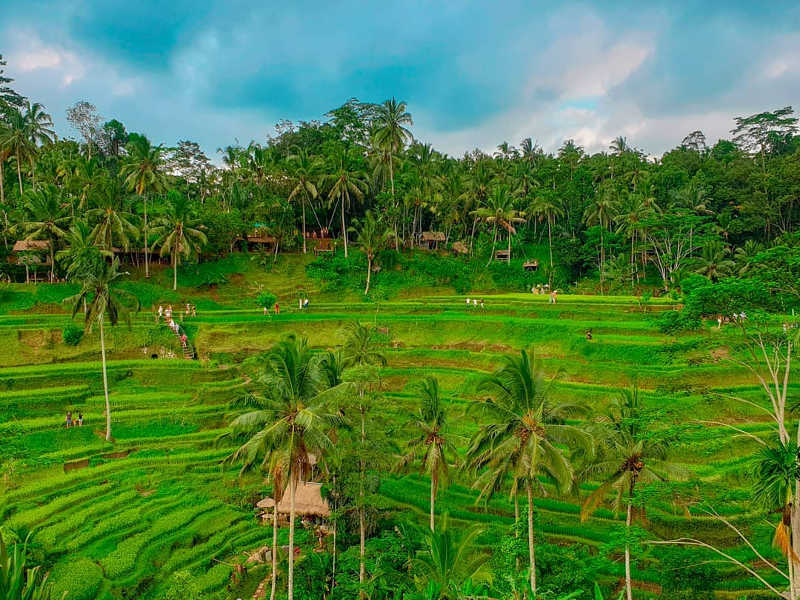 Festivities will differ from property to property, but guests can expect to enjoy a variety of alpaca-centred activities – from leading and feeding the animals, to hand-spinning lessons and felting craft for kids. Since alpacas tend to be slightly more curious than careful, you may also get a stellar cute animal selfie opportunity. Gauteng, KwaZulu-Natal, Mpumalanga and the Western Cape.  Mistique Alpacas in Wakkerstroom. Visit the SAABS website for more details.